Last week, I held a poll to see which of 3 projects people were most interested in. Well, the results are in! So, why did I run a poll about what my next niche site project would be? Well, there were so many potential projects that I could have pursued, but I decided to narrow it down to 3 top choices. I wanted to get feedback from YOU, my readers, because the entire purpose of this project is for me to share what I find success in or what I fail in, and overall, teach the process of building a niche website. In other words, these projects are for you…not really for me. I have been building niche websites for about 5 years now, and I enjoy doing it privately. However, after the success of my last niche site project, I can see the enthusiasm and desire for others to know the processes that I am following to build a successful website. Build a Niche Site, but don’t reveal the domain until its ranking near the top of Google. Option 2 won with 54% of the vote. So, for niche site project 2, I will be teaching a student how to build a niche site! What this means, is that I will be choosing one of YOU, to be my student. Then for the project, we will record our skype sessions, videos, and more with your questions, progress, and things we learn along the way. The real draw of this option, is that having a “newbie” (I hate that word by the way) building a niche website, will reveal lots of questions, that perhaps I didn't answer with my first project. How Can You Become My “Student”? I love your enthusiasm; however, I want to state this very clearly: DON'T EMAIL ME OR POST IN THE COMMENTS THAT YOU WANT TO BE MY STUDENT!! I get it, I really do. Many of you want me to coach you and teach you the many mysteries of the world wide web and how to slay the Google beast. You want the magic pill to cure all your ills. Well, as it turns out, I'm fresh out of magic beans. Instead, I'll be providing realistic advice and coaching; and here's your first piece: Even with my coaching, you might fail! Business is a risk, and there is no 100% success rate…in ANYTHING! Okay, now that I've gotten that out of the way; I want to re-iterate that I will NOT be choosing someone that leaves a comment or emails me asking for me to be their coach. In fact, since my last post, I've already received dozens of emails and there have been lots of comments from many of you asking to be “the student”. Please stop. At this point, I haven't decided how I am going to pick a student. I AM open to your ideas of how to choose a student – and you can leave your suggestions in the comments below. I suspect that I will have some sort of application process; but I haven't developed that process yet and am still brainstorming. So, please give me a week or 2 to figure that out. 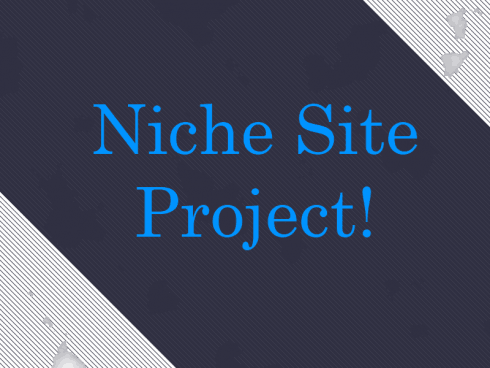 Overall, I simply wanted to let you know that the idea for Niche Site Project 2 is all set! I will indeed be teaching one of you how to build a niche site, and the entire process will be documented. I will let everyone know when the application process begins…so thanks for your patience over the next week or 2. As always, I really do look for your feedback in the comments below. I love your ideas, and hope that you can share any that you might have for how the application process should work. Thanks! Spencer I am looking forward to following your apprentice progress. Looks like my vote lost out big! Someone will be lucky to work with you. I’ll be following along! Of course(again) if they just read this entire blog and listened to all the available info they could get on and build sites:-) pls of course follow empireflippers ! I don’t disagree entirely with your premise. Many want the work to be done for them and hopefully Spence will be able to screen out those folks. On the other hand, there are others of us with flat spots on our foreheads for all the wall banging and head slaps. I added a comment below with some selection criteria. Would that help strike the right balance between a “try-er” and a “welfare case”? Keep up the strong comments. There wasn’t any other option really. Option 1 was already done by NSP1 and people aren’t nearly as patient enough to wait for option 3 to finish. I myself voted for the second option, but not because I want to be the student. Don’t get me wrong, I would love to be, but the value I see in option 2 are the real rookie questions. The ones that Spencer hasn’t thought of in NSP1, but mostly the ones that make Spencer stop and think. The ones that asks stuff that to Spencer – since he’s making niche websites for quite some years now – seem obvious that people know that stuff. I’m telling you, a lot of people will have their “AH!” moment when listening to those Skype calls. Anyway, can wait to get this going. I’m following along step by step this time. I actually voted for option 1 but you make good points about he Skype calls. There probably will be numerous questions being asked in a slightly different way. I’m responsible and can be a good student and friend. OK, I won’t post here to become your student, I’ll spread to word about this to some of my online contacts! Keep up the great work my friend, and cannot wait to read the success story of your student. P.S. I’m getting exciting to read more stories (including your personal case studies with the knife site… hope more will come? Cool! I think you should pick someone who doesn’t follow you, perhaps an offline person who is completely oblivious to the idea of earning money online to demonstrate just how effective your teaching methods really are! I think this is an awesome idea Spender, of course I can see how difficult it will be to pick someone. Have you ever considered maybe finding a way to teach to a larger audience, just doing group calls? I’d even say find a way to team up with Pat Flynn for his recently launched niche site duel. He has hundreds of people who signed up and he’s already got a great membership site and leader board. Maybe have a set number of live webinars (with replays available) through GoToMeeting and walk people through everything live with a series of these from A-Z. This would be a pretty cool addition to what Pat is already doing and you would be helping a very large audience who already is interested in building out niche sites. Maybe work with Pat to pick a member at random from those who have already registered and are clearly interested in learning. Pat currently only had leaderboards and a message board for discussion, no specific training on the current latest methods that are working covering various topics like keyword research, SEO, backlinks, setting up WordPress etc. This is a way to teach a larger audience :). Even though I will be “teaching” one person; everyone will have access to that training on my blog here. I actually think people will learn better listening in to a one-on-one conversation, than a 1 to 1000 conversation (like a webinar). Also, I think Pat has some great things going on…but having something different at my blog gives everyone a different perspective. Sounds good, I think if you are going to be sharing it on your blog that will be most helpful of all. I actually agree about the large webinars, suppose it’s just what I’m used to. Very cool Spencer, definitely looking forward to seeing what you come up with! It was nice to see some sarcasm and a bit of a different style in your writing. Funny stuff. As for picking a student, I was going to say go through some old comments on old posts and see who is struggling and email them out of the blue. Or if you want to go the application route, you can always put out 5 questions like Pat Flynn did to choose his private mastermind group. You’ll have to go through a ton of applications, but it will help you see who exactly has half of the picture and may be successful. I kinda like the idea of no application, just picking a random commenter from an old post…would certainly be easier. But I’m still considering all option…. Either option that Lior suggested could work. Choosing out of the blue would be cool. What about aggregating people who have had problems and mentioned them in comments. Then you could choose a few and ask them if they would be interested in the position. I’m really looking forward to hearing the one on one conversations. That’s awesome! Hope your student will be successful as well. Great choice. As for a process to choose a student, I would point to the process that Pat Flynn just used to choose his 5 members of the Niche Site Duel. It was an application process and unfortunately he did have to weed through hundreds of applications. I think it worked well for him, but it was a lot of work. Personally I will not apply because I don’t consider myself a newbie, as much as I’d love to work with you on this project. I would much rather see someone who hasn’t done hardly anything like this before. Someone who is fresh meat and would ask those perfect questions. Anyway, I look forward to watching the process and following along. Thanks for the update. I haven’t excluded someone with experience…so all options are still on the table. It’s amazing that even after I could recall you telling people in the post to stop nominating themselves to be your student, I think three of the very first comments did it again! See the enthusiasm? Great idea Spencer, I look forward to following along with the lucky candidate. Tech aware but not an expert. What I’d not wish to see is a tech savy 22 yr old with web design experience etc. What ever happens I wish the case study well it will as always provide valuable insights. Great idea. That would certainly make the application process easier, just pick someone locally here…very interesting indeed. Fantastic choice and thanks for allowing your community an opportunity to select the project structure. 3) ability/willingness to invest time – number of hours per week your student can spend with you and on their own is key. 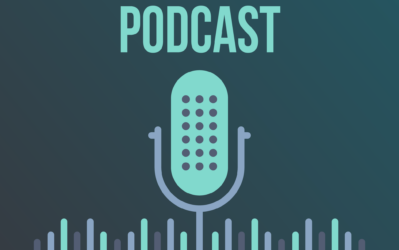 4) ability to invest cash – tools, themes, plugins, article writing… you may be willing to front LTP access or a free version of your theme or this may be an investment requirement for your student, or your student may already have some of this. At some point I imagine there would be a cost, even if it’s only for content. 5) someone who is coachable… that may be tough to measure in a questionaire but you want someone with their own ideas but a willingness to listen and follow direction. I think this ties back to #2. You want someone who knows the struggle and is willing to follow what might be a new direction for them. Perhaps a phone screen with your last group of potential candidates would best inform this component. I’m sure you’ve already considered some of these ideas but I appreciate your continued interest in listening. Thanks Dave – these are some great ideas! Not sure this is a good idea. The student is invariably going to end up being an idiot who will frustrate both us and Spencer. Still – I applaud Spencer’s bravery. Lol, very possible. I’ll do my best to steer the ship so it at least turns out interesting and educational, if not successful. Glad #2 won. I think its a great idea. I was thinking you could pick a random customer of yours from Long Tail Pro. That would (1) increase your application purchases (not a bad little marketing gimmick eh! ), and (2) would ensure that the person selected has the best keyword finding software on the planet. Good luck and whoever you do pick will be one lucky guy/gal. Why I hate the term “newbie” too! Though “newbieism” has a nice ring to it. Oh and yay for the results! haha..yes! I will pick someone suffering from “newbieism”…a terrible but curable disease. I’m excited to see your new project! It will be interesting if your Student will be able to succeed. Would be great if you publish it like a step by step Tutorial, this way not only the student but all readers could follow. the best will be to choose a group and put some task to achieve, in the start point you will have a lot of people but at the end will be only a few, put some requirements like money, what amount the people will need to hire writers, buy backlinks package, hosting, domain. then make a membership site just like smart passive income, but better. Will the posts still follow in the same format like as if you were doing the site yourself? That was one of the more easy case studies to follow and made me want to reevaluate getting back into niche site creations. Would love to see a student doing it, but also showing the process/updates like as if you were doing it a second time would be the best imo. As for picking, an application sounds cool, but I have no clue what you would want out of a potential student! And how about doing 2 or 3 or a small group in case 1 is not accountable enough? Just a thought, but then again the app process may be able to weed that type of person out! Yes, the format will be similar. I expect that the student will be building/doing the project – but I would be reporting and documenting the process. The student would perhaps get involved in posting here a little, but that will primarily be my responsibility. I work full-time at this so have time to both blog and build niche sites; I don’t want to burden someone else with both tasks. Have candidates select their primary keywords. Select the best one and then document the process of selecting that one and rejecting other. So people get idea what to do and what not to do to have successful niche site. Hey Spencer, I like what you’ve got going on here. Always great to get lots of reader interaction. Why don’t you randomly select say maybe 10 of your email subscribers and invite only those 10 go through an application process. That way it is almost like a lottery, AND you won’t have 1000’s of email applications to sift through. Hey Stacey this is a great idea too…would lighten my workload a bit. Thanks! I would like to learn to be the master like yuo, not as student. Another drawback of this option. It will be over a month before it ever gets started, and even then it probably won’t actually get started because the person will ultimately flake out. Hi Spencer – This is Awesome! I am so excited to watch this transpire. I have a great idea to throw out there. Rather than your readers worrying about you choosing them as a student, why don’t as many of us that can agree to all be his students by proxy and follow his teachings. He can teach his student, and all of us can do the same steps on our own. He doesn’t have to directly teach/mentor us, we can just follow along and do the same thing on our own. Then, instead of just posting your students results – all of us that decide to “follow in his/her footsteps” can post our results as well. It will be interesting to see how this works out, best of luck with your new project! Hopefully whoever you pick will be as dedicated to succeeding as we know you will be. Hey Spencer, here’s a way to search for your prospective student. Head over to Warrior Forum and read through the newbie posts. Make a list of a few that gets your interest, those that you believe are asking the “right” questions, whatever those are. Watch those posts that they have put up for a few days and see which ones respond back and ask for more clarification. Then approach a few with your offer of training and what would be expected and what you’re doing. Might find just the right student there. I love your posts the way you write. I think Using your intellectualism you may ready a question paper that you may upload on your site so that we can download it. And choosing a student is a heart breaking game, so you can arrange a lottery and expose the name of the student here on nichepursuits. Then no body will get a chance to accuse you as a biast or whatever. And sorry for my semi English. I hope You understand me. Spencer – Just curious. 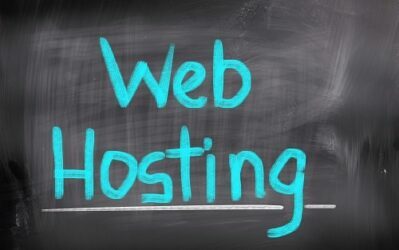 Who will be paying for the hosting, content creation, link building etc. Will you be finding a student who understands the money that goes into the site even if they write all the content and build links on their own? Or will you be investing in the student by paying for these with the idea that you’ll be taking a large portion of the website(s) earnings? Good question. I was thinking that the “student” would have to invest their own funds. If I do decide this is the case, I will have to make that clear in the application process that the “winner” will be required to invest $500 on the project of something. That’s a great point Nick… I think the 500 dollar mark sounds about right. If you own Ltp and a good theme you can use the extra for content or perhaps some outsourcing. …will wait for the application instructions! All the best for this NSP2! So glad that we are going to be teaching a student. I am looking forward to getting the info from there perspective, plus all the additional questions and insight that they might have. I would of loved to have seen an eccomerce site, it would of been good to mix it up. Funny, I only found your website last night and immediately regustered. Something appealed to me and although i have dabbled with the niche sites idea for 2 years, the coffee review site you showcased gave me a call to action. The point is, whoever the student is, i will watch with interest at their progress. I hope it’s a complete novice, much like me. My motivation to learn more on this area is very strong and even if i only make 50 bucks a week at the moment, that would make a real difference. I’m looking forward to watching and learning more! Thanks for this site. I finally made a move! That’s awesome…way to take action Sean! Its great to hear of “newer” people finding my site and getting motivated. I wouldn’t outsource to a Fiverr “expert”. Such things don’t exist. Try ELance or ODesk for better quality. My luck on Fiverr has been garbage mostly. Just my two cents. Hi Spencer, I have a few thoughts on how you could select your ‘student’. First of all I think you should not select anyone who reads your blog. Why? Because everyone here has in some extend already acquired skills you’ve shared. Hope you find my input useful. Have a nice day! Hey Rene…thanks…this definitely gives me something to think about! Great choice! Looking forward for this one too! You will let the student make all the important decisions like which niche to tackle and what kind of monetisation? That will be interesting! Loving the uniqueness of this. Will be very interesting (and helpful) to follow along. I imagine it will be extremely motivating as well. I know we all would love the opportunity, but we have all been learning from you already. I feel like it would be more fun for you to take a brand new learner, someone who has never made money online (but wants too) and teach them. The entire process is too daunting for many newbies and starting from the basics with someone who only dreams of making money online would be really fun to watch. Jokes apart, you may search for someone on Warrior forum. There are many newbies who need help. Or faster would be to post a Classified Ad there. Thanks Mohit…doesn’t matter what language you speak…you can still build a successful business! Don’t want to sound harsh, Mohit, but that sounds just like another excuse and we all know that’s why most people never get started in this business. I’m not a native speaker, but that’s not stopping me. I think people like us might even try harder to sound clear as we’re aware not everyone might understand us if we speak normally. I don’t agree with the Warrior forum idea. I think Spencer should choose one of his readers. Warrior is filled either with newbies that are too likely to not finish the project or experts in the War Room, who don’t really need this kind of training anymore. The ABCs of WordPress probably aren’t needed, but the student should be able to get a grip on it quickly. We don’t want someone who would install all kinds of additional plugins and modify their themes while we’re not watching. Hi Spencer! I agree that this is entirely different model than what Pat’s doing and it’s what sets this blog apart from others. Getting feedback from your audience is crucial, and you have a large audience. If people want to read what Pat is doing, they can go to his blog. This project is a great opportunity for your all of your readers and also a great way to showcase your skills! Just my 2 cents on selection processes. I think it should be an application process but you should have your own criteria set for the project. An example would be that it’s your choice of Niche and your student has no choice in the matter. To encourage your readers to take risks you could also require that they need to have a budget for the project and their reward is that they get to keep the site. That way if it fails, it’s not your money risked. By setting certain criteria, you’d weed out anyone not serious about the project that isn’t committed as well, whatever criteria that might be. Looking forward to listening along! Great point Jason! Thanks for stopping by! I don’t think the niche should be Spencer’s choice. It should be part of the keyword research process that the student does. I like this idea alot and it got me thinking about how I would select someone and I think a couple of the suggestions above were great – namely ask people to front $500 to get it up and running and then get them to submit their keyword research. This would naturally weed out the people that were not committed or have the basics to make this successful. However, since you have been using votes to decide which way to go, why not take this one stage further and not only get prospective candidates to do their keyword research and find a niche, but then document it and pitch their ideas for the site. You can then publish the best few and let people vote on who gets it? This way you know they are committed, have an understanding of your approach and they are also able to communicate with your readership? Ah, very nice idea! Having the “crowd” decide/vote on the winner is a good idea indeed. Thanks! For the application process a suggestion from me is to get the readers to do some work first. Get anyone who wishes to he an applicant to enter a key word phrase they wish to build their niche site around. If that keyword does not meet the criteria down the track you can always pivot and find a new one. Very disappointed personally. This blog is slowly turning into a “motivation club.” If I wanted that I’d be frequenting a psychology forum. I was coming here Spencer to learn from you, the experienced person, not to watch what beginners are doing. I’ve been a long, long time reader/lurker, but I feel I am wasting my time here at the moment. I’ll check back in a month or two and I really hope this blog will be back on track by then. Adam – I will still be the one doing the teaching, not the student. I will be blogging and sharing. But always good to hear feedback! Lessons are more important than experience! So, learn the techs from your magic posts and practice them by myself. Thank you, a knowledgeable guide! Glad the votes are in. #2 wasn’t my first choice, but now that you’ve selected the option, I think we can all learn a heck of a lot more when you are asked a question thru a newbie’s eyes or even someone a little more experienced. I know that something like this is a heck of a time committment for you. Writing a blog takes a lot of time, but teaching a student could really get involved. I’ll be watching how you juggle the tasks of teaching, blogging and all your other niche purcuits. Looking forward to it, Buddy! Yep, its going to be alot of work…and perhaps its the last coaching I do as a result…we’ll see. I enjoy your posts, I re-read and re-read, again and again. I just can’t wait to see the next project and hopefully this time will not disappointed (I am voted for the first option). I hope I can success with my niche site soon. I am a Vietnam, i want to make money online, I learn a lot anywhere, i found nichepursuits.com and that’s him. I am very happy about the decision to get students trained, great ideas for those people are going in the right direction, I’m not good at English, I had to ask the google translation tool to know what he said but I still want to be your student, i hoping to learn a lot from successful people like you, Spencer Haws! Last word, I will not be the best student but I will try my best. Thank you very much. I can’t wait for this one! I voted for this one because I believe that watching you help a student build a niche site is something I can relate to big time. I am a student, I followed your first niche site and I have finally had some success making niche sites because of that. Watching you help a student, will help me 10x as much too! So, thank you Spencer! I voted for teaching a student because I believe it should be highly motivational, for those us already in the business to see someone with little to no experience do this. The questions they ask should also be interesting as mentioned above. After reading your post and browsing through the first comments, my first thought was “family or friends” not in the business. this should make the selection process a lot more fun for your self and add a whole knew twist to the project. I know when I was in America and doing well online, I had many friends who would have been suitable and wanting to get involved. It will make recording things a lot easier if they can just come round your house, and you get to hang out together and have fun. Refine your “universe” of possibilities down to customers who have purchased (perhaps especially LT Pro). At least you know that they are a “real” person(!) and have had some interaction with your site / business philosophies – and a desire to do niche sites! You also don’t have to worry about them not having LT Pro! Send the LT Pro purchaser’s list out an invite to be a part of it by entering a competition via a SURVEY. The purpose of this step is to act as a FILTER for only those who can follow some (very basic) instructions – which is obviously a good thing! I think that’s a good list to glean from. –	Have an invite to those who completed the survey (successfully) to submit a short (say 500 word max) ‘essay’ addressing a particular (well thought out) question or statement relating to the project (or something relevant), and then you get someone you trust to go through those submissions for you to try and filter out a few more, trying to pick those who sound like a good fit for the project. From there (if you still have multiple options) you can just do a random draw! I think these are some great ideas Steve, and I very well may do something similar to this. Thanks! I have to say I agree with this. Also to weed it down further, you could make it those who subscribe monthly to the Platinum features as they are actually paying monthly to use the product to its full capacity. 1. If you are looking for names to choose from (and wanting to increase your subscriber numbers), set up a subscription form for people to apply. Then print out the list and let your son throw a dart at it to choose the ONE. 2. Also, maybe select two (at a push three) people to mentor, for the very fact that I believe you will have people that cannot sustain the momentum. Also helps with adding more posts to your blog. Please disregard the 15 tweets, 20 FB messages, 30 emails, 10 G+ messages, 105 SMS messages, the billboard in front of your house, and the advert in your local newspaper begging to be your student…. Shall I cancel the giant cake delivery with the naked lady inside? +1 for Steve Wyman’s idea. Love it. Great to see the result of the poll, this is what I voted for too. Looking forward to following along, I’m sure this will be every bit as interesting as the first case study. Why don’t you choose your long term active blog commenter as your student. The one (with small wins) who is actively participating in your post and want to learn anything from you. They should also be a good student. It be interesting to see how you do your coaching. I also have been coaching absolutely beginners to building niche sites “offline”. Coaching to writing a blog is totally different can of worms in my opinion. So much more work than I expected and so many questions and quite time consuming. Though I do get paid for my time. You are right by putting your disclaimer, it is absolutely no guarantee, even through coaching that the end user will achieve the results that you have achieve. I say that too when people ask me to coach. I can show you but whether you get the same results no promises. Good luck on your venture. I Look forward to reading your tips from a coaching perspective. This is really nice idea. 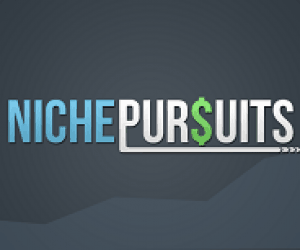 I really hope this “Niche Site Project 2” is beneficial not only for you as a coach or for the “chosen student” but for the entire “nichepursuits” community as a whole. I am sure it will be quite an experience for all of us. 1) How willing the person is to take action? (A person who is already making a genuine effort to succeed online is far better than a person who does finds this opportunity just like the “next shining object” but has not tasted the grind). A person who has failed and still wants to succeed would be the ideal candidate because you would love to coach him and the enthusiasm would never dry down. 2) You should also have a provision of understanding the applicants current level of understanding with regards to building niche websites and how far the person has made efforts in making their dream a reality. Having said that, in my humble opinion I feel you will be the best person to making a better decision and I have gone through and still going through the grind and would love to fill in the application whenever it is live. I’m glad option 2 won. For who to select I’d advise from my personal experience as a varsity basketball coach who has trained everyone from D1 kids to 5th graders. I would consider your readers as your ‘team’ you’ve been coaching for sometime now. Your selection of the student who will ultimately set the pace of learning for the team. If too experienced you’ll only cater to the athletes on the team that are going to play ball in college. If you pick a complete newbie your pace might be frustratingly slow. The best student/athlete is the one that has put money down to learn, has attempted and failed, but still was hungry enough to get up and try again. This would be the freshman that goes to all my camps and clinics, fails to make varsity his first year but keeps coming to the clinics the next summer determined to be better. So maybe pick someone that has discussed their sites troubles and small successes in your comments? Or someone that has paid for another teachers class, failed and needs a new coaching style to succeed. You want hunger, a base set of skills, and some grit from previous failures. I think I’ll end my meandering analogy here. Thanks for a great blog. Haven’t been able to follow as much with my two new kids, buy this latest idea gotta attention. Thanks KJ…great advice from a REAL coach :)! I can’t wait to follow this project! This is going to be great. 1. Is the person on my mailing list? Just because they signed up for this doesn’t make them good at Niche site building and selecting. 2. Have they purchased LTP? I will be looking for the use of this great tool in the sessions – and would be dissapointed if I don’t see it in use – I think you and the student could have some great discussions on the process here – and something many of us would get an “ahh so this is how to do it” experience. 3. Should the person be active on this site? Now in terms of finding the keyword – I my mind it is important that the student comes up with a set of potentials and then you do a session of analyzing these. This would be awesome to follow – and something many would benefit greatly from. I have myself tried to do this – only to end up with a keyword that in the end was way to difficult to rank for – even though I did spend alot of money on SEO etc. Also, if you provide the keyword – it kind of loses the idea – because we all know that you are capable of chosing the right ones. An important aspect of this and you mention this in your “disclaimer” – this is not about the site being successful as much as it is the process. We have all seen your post on how some sites a profitable and others are not. The profitable ones you invest in and the others you simply let go. Regarding the $500 investment – I can see the point – but it will also put some people off. 500 can be a lot of money – especially as you won’t know if this will be a success. Additionally the site would have to be a site like the “besthuntingknifeguide” as the possibility of clickbombing persists – when using adsense on a public site. I built a site last year (before I found Nichepursuits) and told people the URL and how it was making money – I got clickbombed and am banned for life from Adsense. I think an important aspect – as you pointed out in your post with your “profit calcualtor” excel sheet – that you can either pay for a large part of the content, or you can do it all yourself. But then – what if the student pulls out? Well two solutions there. Have more than one stundent (two would be good – but alot of work for you) and have them make a deposit which will be returned at the end of the training. Yes I just said that money shouldn’t be the determaning factor – but they would get it back and would thus be easier to cope with. Great points Chris! I agree that I won’t be picking the keyword, I’ll let the student analyze results and decide. (I would of course not let them pick one without approving). Thanks for giving me some things to consider! Would it be possible to choose someone with poor writing skills (ot not perfect english speaking) so he/she has to hire someone to do this? Content is still king and without it the site can not be a success. Let the student/you document the process on how to prepare articles before submitting them to a writer. This is for me the most difficult part. 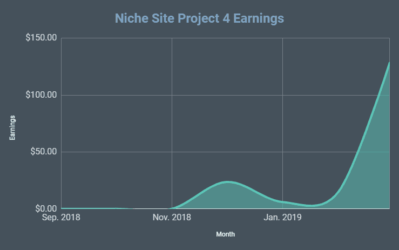 Maybe bundle all the great questions from each Niche Site Update and provide it with answers so we do not have to read all the “well done” comments? Probably you can even sell the “book” to those who do not want to read through your whole site ;-). Looking forward to the new Niche Site. I think he should choose someone with average writing skills. The average Joe, so he or she doesn’t have an edge in that area. I do like the idea of showing us how to prepare an article from a hired writer to be published, though. So maybe the student should be able to write some of his own content, but should also outsource at least a few of them. If someone doesn’t write well, they would have to be willing to pony up the cash to hire a writer. Awesome! I can’t wait to follow your updates and the progress of your student! Good Luck guys! Great going Spencer and am so looking forward to you taking a student under your wing and guiding him to success. Im so glad I found your site and although I missed following along with the first site I am excited to be able to learn from the second course! I went back over all the posts for the first niche site and managed to set my own up this week. I’m not sure if the keyword I picked for my niche website is good enough but If its not I will put it down to experience! I will be following you and your student and working along with you for my second site, cant wait for it to start so I can get started too! Will you be going through keyword selection with your student? I know you have covered it extensively already but I still have a hard time figuring out how competitive a keyword is. It looks simple when you do it but when I am faced with all the data in front of me, I get confused over which to choose! Yes, I will definitely be going through keyword selection with the student. This will probably be the most involved part. This is exciting news Spencer! I look forward to seeing where you take this! 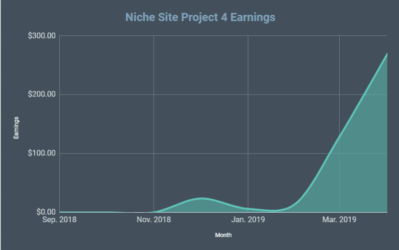 Ask the applicants for a niche they want to tackle (1), the reasons for this niche (2) and for 3 ideas that they have to grow this site (online/offline marketin, seo or whatever) (3)! And then decide just on your own interests, which niche do you like and why. If the applicants give you those 3 answers, you see that they have a slight idea about content marketing and maybe have read some of your posts and are eager to work hard on their own project. just an idea, but what I really like is that you dont fancy this up but just decide on whatever motivation and reason you have liked the most. The reason I won’t do this, is because niche selection/keyword choice is the most important part of the process. I want to teach people how to navigate this process. true, I see your point 🙂 well then I am excited to see and read on how you will choose your student! I am very, very excited to see this all pan out. I look forward to the coming weeks and months seeing this thing documented and the information made available here on Niche Pursuits! Super eager for this. My new site just went from getting 10-15 search hits per day to 0-1. No idea why, the only changes I’ve made is the addition of some youtube vids. Will be good to be able to watch another noob go through step by step in getting one off the ground. Great approach Spencer!! That is a VERY VERY interesting idea and I’m sure you’ll draw a lot of traffic and experience from this!! It will be great for everybody!!! Awesome!! Looking forward to the next niche site project. I just earned another $0.88 from Amazon and $1.17 from Adsense. I love these little wins. Onward and upward. I just read your emails on keyword research and competition analysis and a couple of blog posts! I’m pretty sure the keyword for the domain and site I set up are good afterall, I even found some more using my Ltp trial and am going to be setting up a few more sites this week! Thanks so much for all the info, this is a fantastic site! I agree that having a student who uses Long Tail Pro is crucial. That will also help narrow your list. The survey/application, in my opinion, will need to ensure that the individual is in fact a “newbie.” You don’t want some guy/girl with a ton of successful niche sites as your student. I cannot wait to follow along with this! It is going to be a great learning experience for everyone involved! I also think you coaching someone one-on-one may give you new insight on other kind of content your readers are looking for. I am not very bright. Also, I don’t understand the first thing about Al Gore’s inter-net invention. If you can teach me you can teach anyone. And I can show you to my bro’s site. He took his site from 0 to 50,000 units sold in six months. At the end of the day Spencer you want someone who will follow your steps and not quit when the going gets tough as this may possibly reflect on you. Provide one or two steps that are tough (say a long questionnaire with 1000+ words needed) and then you’ll weed out a few. Quick short question if poss? For main site keyword (when doing research for anew site), do we really need to find 5000 EM phrases (or just below), or can we go for searches with just 2000(for example) “because” the main keyword is simply just one keyword and in fact our whole site will be getting a lot of long tail searches anyway. Yes, you can start a site on a keyword with less than 5000 EM…or even less than 2000. I just PREFER to do it the way I’ve shown. How about me? Just kidding. Excited to see who would be your lucky apprentice. Good luck to your chosen one. What will be the impact on LongTail Pro ? We’ve been programming behind the scenes, and we are all ready for Google to shut down the keyword tool. 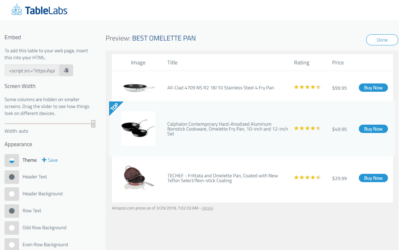 Long Tail Pro will function as it always has – now using the keyword planner. This announcement means that Only the Paid advertisers account can use keyword planner with full functions like Keywordtool ? I recently heard an interview that you are deeply involved in your church – that is super cool. I love to hear a family man that does internet marketing with integrity. I would encourage you to continue raising the banner high, my friend. This is going to be a lot of fun to follow. metric to guage someone’s dedication otherwise you’ll be wasting your time. Hey have you watched the show The Apprentice, in that show a millionarie selects a employee out of 10 people you can get a idea from that too what say? Hi Spenser, i would like to build a niche site that can make me few bucks daily because i like working for myself. I am pilling up money to buy the long tail pro. In my opinion asking for $500.00 from the student eliminates those who have a strong feeling of desperation to make things work, and a strong desire and need to be successful online. A ton of newbies are desperate to learn and I would think that because of their money situation that they would want to absorb as much as possible from you and ask the pertinent questions that would benefit everyone. If the student pays to have the student spot I would think that they would have a feeling of buying a coaching spot, not being a student. In my opinion if your requirement is that the student needs to contribute $500.00 you have already eliminated the true essence of what most “newbies” online represent. With “teaching a student to build a niche site” if I was the one who was teaching the student to build a niche site I would first find out what their talents were and how they could contribute to their own success. Anyone who has already built a niche site before is not a good candidate for this project. So what I would do is first set out a criteria for entry and then have the applicants submit samples of their work to you. This could be a 500 word article, a video, a graphic design, making a banner ad, building a few links, placing an ad, setting up a web 2.0 page, etc. You could then list 5 things you want a sample submission of for this project and let those entering to win pick the 3 they are most capable of doing. From there you and a few others and/or the group here can select the winner. In the criteria and sample submissions area you can make it clear to those entering that their work submitted will be used in the project, especially if you will know your niche ahead of time. To me this eliminates those who are not going to give it their best effort and ensures that the person you select is committed to working as hard on the project as you are. This is just my opinion, others may feel that paying to be a student is the answer…in my experience paying no matter how small has expectations. Sincerely giving to someone on the other hand leaves people grateful of the value that they are receiving. I am not asking $500 for someone to apply. I don’t get the money. The money goes into their site. I am just telling people that it cost money to build a site. I never was successful building sites until I invested a little bit of money. So, I disagree that this gets rid of “newbies”. This just gets rid of people that aren’t willing to risk $500. That’s a huge difference. Too bad I started following your blog after a student was chosen as I would have had a chance to apply for this great program. Excited to see the results and hope that you will have more personalized teachings in the future, I will be glad to pay for such a personalized service.